After being arrested for drunk driving, beaten, and restrained, eight years later, William Jennings settled his excessive force case with Genesee County, finally receiving $12.9 million. Initially, a jury handed out a $36.6 million payout in 2016, but that was reduced by a judge earlier in 2018. Generally, a jail guard is allowed to use any amount of force required to restrain an inmate or defend themselves. In many jurisdictions, it is for a jury to decide whether the officers in question behaved unnecessarily forcefully. Police and guards often use self-defense as an excuse for using violence towards their inmates. In Jennings’ case, he has video proof that the officers assaulted him for no reason. Officers said they mistook an arm motion for non-compliance. Unfortunately for them, a camera captured them smashing Jennings’ into the ground, handcuffing him, and beating him. The guards also used a taser to subdue Jennings. They then placed a mask over his face and restrained him for two hours. In this situation, there was little doubt that the officers in question went to far. Video evidence led the jury to their high initial payout. 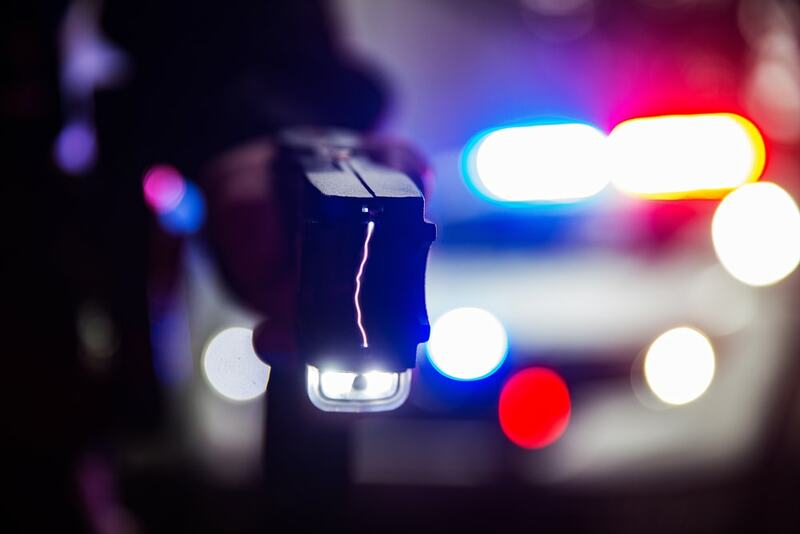 When an individual sues a police department or a particular officer, it’s often difficult to win the case without evidence. Courts hold law enforcement officials in high regard and often side with them when a plaintiff can’t provide enough proof. The Jennings case makes headlines because it’s so rare to see such a large payout or a situation where there’s little argument that the officers were guilty. In 2016, the jury in the Jennings case specifically gave out a jaw-dropping $36 million, stating that the amount should make the victim whole again, but also send a message to law enforcement officials who think they are above the law to think twice before committing brutality. The video footage they saw was compelling enough that the jury awarded punitive damages to Jennings. Punitive damages are usually handed out by the court as punishment. Each of the officers was ordered to pay millions to Jennings for the violence he endured in their care. In Michigan, a judge has the power to change the amount of money a jury awards a victim. This is what happened in Jennings’ case. Detroit U.S. District Judge Avern Cohn ruled that despite the level of violence used against Jennings, he initial $36 million award is redundant. Cohn instead offered $11 million to the victim, which Jennings denied. After some litigation, the court announced that the plaintiff accepted a $12 million settlement. Cases against law enforcement agencies are complicated, which is why it’s vital to get the right lawyer. The attorneys at the Michigan Legal Center have helped residents for the last two decades present strong police brutality cases. Call 1800-961-8477 for a free consultation with an experienced lawyer. Christopher Trainor & Associates are happy to answer any questions you have and advise you on the next steps you need to take to receive compensation after a bad experience with law enforcement.